A horse with a club foot. One of the core principles in Natural Horse Care is allowing a horse to physically develop before mounting them. Little is known or respected in this regard as, all too often, horses are worked and competed at a very young age. It is common practice for racehorses to begin their training and even competition before reaching three years old. The quarter horse has been bred in such a way that they look fully grown, but are actually a long way away. Unfortunately this breed is among the earliest to be worked and competed. In the Natural Hoof Care paradigm, we often see horses that are off the track, and even horses that were never competed, but were worked and ridden at a young age, and have developed a club foot. See, contrary to popular belief, we (those in the AANHCP – the Association for the Advancement of Natural Horse Care Practices) do not believe that the clubfoot is a genetic predisposition, but rather is an adaptive response to an injury occurring somewhere above the hoof. The clubfoot is what the body produces to cope with this trauma, and it acts similarly to a crutch. 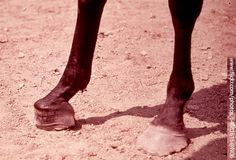 This clubfoot and subsequent lameness is practically irreversible and, through ignorance, it is not uncommon for the horse owner to have the hoof and lower leg amputated! What is commonly understood as navicular syndrome actually has nothing to do with the hoof, but again, an upper body injury that manifests as a clubfoot. Now I say “practically” irreversible because there is the potential for it to be corrected, the clubfoot to be reversed, and the horse to be sound again, as seen in the miraculous healing that Jaime Jackson and Jill Willis have facilitated for their mare that lives in the AANHCP Paddock Paradise in Lompoc, California. She had a 16 degree difference in the toe angle of her front hooves, but after one year, the angles were one degree apart. This healing is attributed to her living in the rugged, natural environment she calls home. She came to Jill and Jaime with “navicular,” and Jill and Jaime wasted no time in applying a natural trim and getting her out into the natural environment with the other four horses who live there. 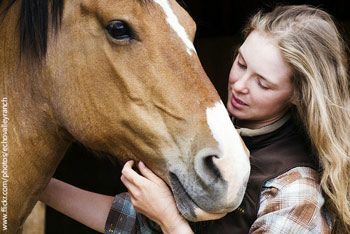 This healing represents maybe the most profound news for natural horse people and for all horse people alike, if they can be open to the possibilities and ramifications of natural boarding. It is the power of herd dynamics and consistent movement over varied terrain that helped her body heal. This story is the subject of Jaime Jackson’s new book The Healing Angle. Dr Deb Bennett PhD is a 1984 graduate of the University of Kansas, and until 1992 was with the Smithsonian Institution, and is internationally known for her scientific conformation analysis. In her groundbreaking article called “About Maturity and Growth Plates,” she gives a very detailed analysis of the skeletal formation and maturity of the equine. This information has profound implications! According to Deb, there is a definitive schedule for bone formation, and this schedule is what needs to be followed, not the appearance of the horse. 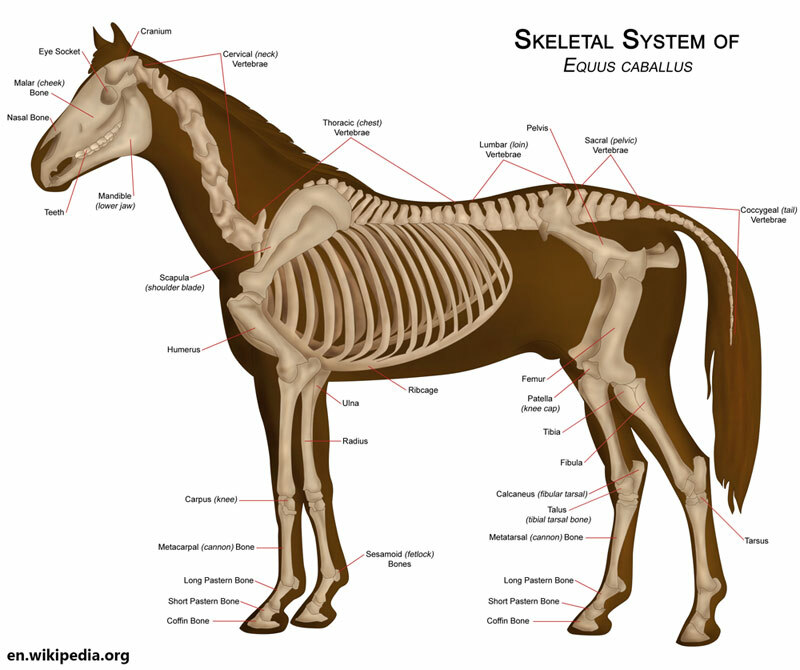 The order of fusion and development of the equine skeletal structure begins from the bottom up. This, of course, results in the spine being the last to develop and fully fuse. “The spine does not fuse until the horse is at least 5-1/2 years old. This figure applies to all horses, small scrubby, range raised horses to huge Warmbloods. The taller your horse and the longer its neck, the later full fusion occurs. For a male (is this a surprise?) you add six months. So, for example, a 17-hand TB or Saddlebred or WB gelding may not be fully mature until his 8th year. Something that owners of such individuals have often told me that they ‘suspected’,” she writes. Also noted by Deb is that the vertebrae at the base of the neck are the very last to fuse, and she states that it is imperative to not yank on a horse’s head during this developmental stage (or ever for that matter!). Along with riding in harmony with your horse’s natural gaits, respecting your horse’s timeline for skeletal development is perhaps the greatest preventative for navicular. By naturalizing your horse’s boarding environment, as Jill and Jaime have done for theirs, your horse can develop a strong and sound body and subsequent carrying shape. By living in a simple, natural boarding situation, your horse will flex to each side and move through the natural gaits regularly as they travel through your paddock together. Their bodies and feet will change dramatically for the better, and will lessen the frequency your trimmer must come out, saving you money on top of the money you save from not having potentially sick horses from living unnaturally. Enjoy your time on the ground with each other. Take the time to know and understand each other. The greatest trust and bond is built on the ground, long before you mount their back. The longer you spend on the ground and the more connected the two of you are, the more solid your horse will be when mounted. There is no rush. If naturally managed, your horse can likely live well up and into their 30s in good health. You have a companion for life, and rushing to ride and compromising their lifelong skeletal integrity would be a shame. 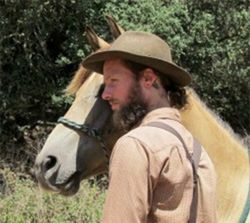 Read The Natural Trim by Jaime Jackson to learn what the natural gaits are and how to ride in harmony with them. From personal and shared experience, I know that once you learn to sit the trot and ride in accordance with your horse’s movements, you will wonder how you or anyone rides any other way. It is a tremendous blending that occurs when synchronized and you are not coming up and out of the saddle with every lead change. Your horse will feel this too and their appreciation becomes obvious as they move with greater confidence and ease. This is, in my opinion, the number one greatest defense of navicular, but also colic and other issues. Read Paddock Paradise by Jaime Jackson and make the simple applications in your paddock at home. Share the book with your neighboring horse friends and combine forces in creating an even better paddock. Through simple acts of using slow feeder hay nets and other stimulating things with a track paddock, your horses will get regular exercise and enjoyment in living an active life with their families. Paddock Paradise is also the best way to keep your horses off the dangerous lush, green, grass pasture, circumventing laminitis and founder. Please share this important message with everyone you know, so that we may facilitate an end to the destructive practice of premature riding and training. Narayan Khalsa is a co-founder of Effective Pet Wellness, a company specializing in horse wellness and clearing infectious disease in equines, cats, and dogs. Hoof it! Why your horse needs to keep moving Many equine problems could be alleviated and nonexistent if horses had the freedom to move…. Extreme Makeover: Paddock Edition – tips for making your horse’s home healthier Easy ways to help your horse live as nature intended…. Cracked horse hooves never easy to fix While a quick fix would be great, the reality is a long waiting game….